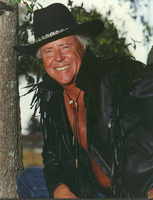 1 Successful American author Robert Newton Peck has written more than sixty books, most of them for young adult readers. He often takes his readers back in time to rural America with its old-fashioned virtues. Peck also takes his readers into the more distant past, traveling back to the Colonial and Revolutionary War periods. Peck stresses the importance of education, using teachers as common characters in his fiction. In addition, he emphasizes the value of a bond between a father and son. Peck's themes are frequently serious, and he commonly portrays struggling adolescents on the path towards adulthood. Peck's love of history is evident in his novels as well. 2 Born into a family of hard working Shaker farmers, Peck grew up on a farm in rural Vermont, being familiarized with cattle, hogs, and horses. His family was heavily rooted in the land and its harvest. Peck's father slaughtered hogs on the family farm during the Depression. This had a major impact on Peck and it eventually came out in his writings. Being the first in his family to read and write, Peck was strongly influenced by his grade school teacher. He even based a character, Miss Kelly, on her. As a child, Peck became close to a boy named Luther, nicknamed Soup. Soup also became a part of many of Peck's books. 3 When Peck was a young man, he held various jobs, such as a hog butcher, lumberjack, and paper-mill worker. He later joined the United States Army infantry during World War II. Peck served in Italy, Germany, and France for two years. Following the war, he went to school at Rollins College where he eventually earned his bachelor's degree. Afterwards, he attended Cornell University and studied law. Peck later got a job as an advertising executive. He wrote jingles for commercials on television. At this point in his life, Peck began writing. Once he completed his first novel, he left his career in advertising to be a writer. 4 Peck's first novel, A Day No Pigs Would Die, was published in 1972. Amazingly, Peck completed this book in only three weeks. The novel has been called a semi-autobiography because it is a reflection of Peck's childhood and his memories of growing up on his family's Vermont farm. A Day No Pigs Would Die focuses on thirteen-year-old Rob Peck and his relationship with his stern father who is a farmer and hog butcher. In the story, Rob receives a pig from a neighbor which quickly becomes his pet. Unfortunately, the pig cannot produce a litter. Ultimately, Rob faces the slaughter of his pig because the family's small income cannot allow having a useless animal. In the process, he learns the meaning of love and the necessity for death when he faces his own father's death. 5 Following A Day No Pigs Would Die, Peck continued his writing and published three more books in the next three years: Millie's Boy (1973), Soup (1974), and Bee Tree and Other Stuff (1975). Millie's Boy, a book that begins with a murder, is about a boy who is in search of the truth. Soup is set in Vermont in the 1920s and focuses on the lives of Rob and his friend Soup. This book was eventually made into a television movie. Peck tried something different with Bee Tree and Other Stuff when he created this book of poetry.